You and I are Still Wonderfully Emotional Babies Inside. It feels good to open your heart and feel! As you watch this video, feel your heart open and reach toward this sincere, open little being as she connects with the sadness in the song her mother sings. (If you’re one of the 36+ million people who has seen it before, watch it again; it bears repeating.) Hers is the beautiful face of emotion simply flowing through, unresisted. She trusts her mother and is completely prepared to go wherever she goes, emotionally. This baby easily tears up in sadness and is just as ready to smile and laugh when the song ends. You could almost say that the emotional energy in the song plays her. That’s our nature. As social, emotional beings, we attune to each other and want to connect. I bet you were like that as a baby – a clear, pure channel, ready to connect. You didn’t have defenses built up to block out emotion and emotional energy just washed through you and out, like a wave. I watch that little baby and yearn to reclaim that state of availability and purity. She hasn’t been shut down by bullying or disappointment yet. 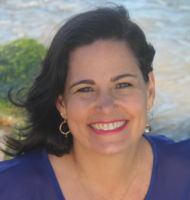 She hasn’t had to put up defenses against insensitive teachers or abusive bosses. I believe we all came in this way and can cycle back to it. I see that happen for adults who have read my book and choose to explore and release the energetic blockage that may have accumulated over a lifetime of socialization and resistance. During my Issues in Your Tissues sessions when the person on my table meets the sadness that has been held inside for decades, it just flows through unimpeded because we have opened the flow of the breath with belly breathing and opened the heart with trust and loving touch. In my experience, that kind of heart-open feeling is not that far away from anyone, because it’s our inherent nature, as the video illustrates. We all want to trust and open up, but the conditions have to be right. The cool thing about being an adult and reopening your emotional availability is that you then have the option of using your defenses when you need them and opening your heart when don’t. To me that’s the whole human arc. We come in open, learn to defend ourselves (shut down) as part of socialization, and then, if we’re paying attention, do the work to come full circle – open to fullness but at a higher level. 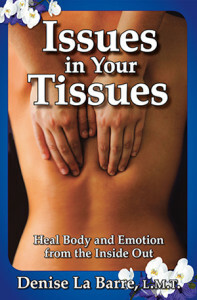 I invite you to read more about this in my book, Issues in Your Tissues: Heal Body and Emotion from the Inside Out. If you want to dabble your toes first, you can read more on my website, www.HealingCatalyst.com Then experience a palpable shift as you cry, laugh and open through the stories, cartoons, exercises and the journey of reading this intuitive, right-brain book.